Pens and watches go hand-in-hand. Lovers of (fountain) pens and watches have an introverted yet strong common bond. After all, sophisticated and highly competent artisanal quality forges a bond. We present you a story in two parts about the parallel world of pens and watches. Today Part 1, tomorrow Part 2. Those who visit the Montblanc building in Hamburg, where the company’s fountain pens are made, observe a manufacture. Here, a sophisticated collaboration between craftsmen and machinery creates the most beautiful pens step by step. Lots of traditional handicraft, polishing, engraving, testing. 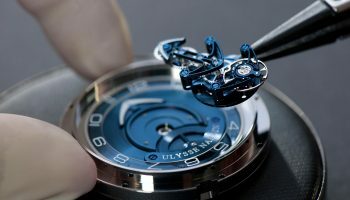 The masterpieces are born in a separate atelier: limited editions made of exotic materials, and unique items that are specially commissioned and designed in close consultation with the customer. 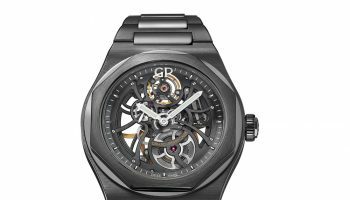 The similarities with a watch manufacture are striking. It’s not surprising that there are brands that make watches and distinguished writing implements. 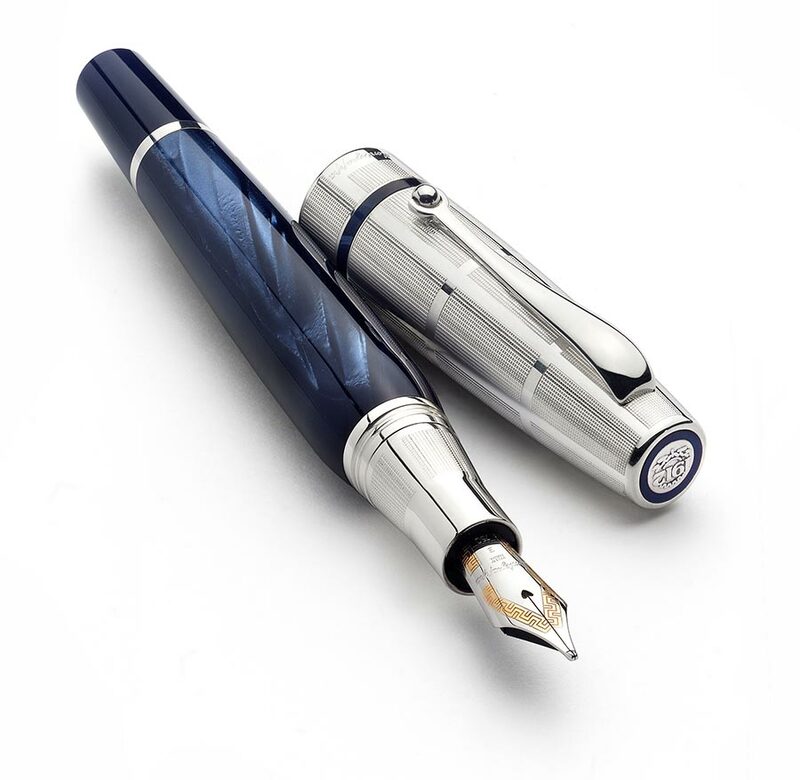 Not gold or platinum this time, but silver; the Montegrappa Miya Argento fountain pen has a contemporary design and the midnight blue celluloid is a remarkable material choice, as well. 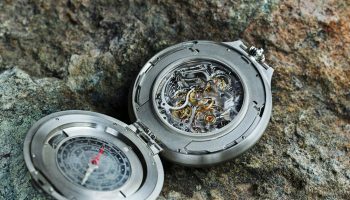 The story of Montblanc is the most illustrative of them all. The brand started producing fountain pens in 1908 and, after the Second World War, added ballpoint pens and propelling pencils to its product range. In 1977 Montblanc ended up in the hands of Dunhill, a brand that had established its reputation in the field of writing implements. In 1997 Montblanc started making watches in Le Locle and, after taking over Minerva in 2007, the brand grew into a fully-fledged watchmaker. The high point of the fountain pen line: the Meisterstück collection, which was introduced in 1924 and the design elements of which were very prominent in the first watch collection. Dunhill (1893) was an excellent partner for Montblanc. The English company grew big with the production of a range of accessories, like handbags, pipes, lighters and fountain pens. De first Dunhill pocket watch was sold as early as 1906, and in 1926 the first wristwatch appeared. After the 1930s Dunhill made its name with luxury fountain pens it created in conjunction with the Japanese Namiki company. Namiki specialises in finishing products with a special Japanese lacquer. Namiki (part of the Pilot writing implements factory) still provides those services to Dunhill today. 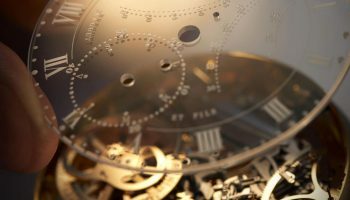 In the 1990s Dunhill and Montblanc became part of the Groupe Richemont, which had another brand that was known for its pens and watches: Cartier. Cartier has been making expensive pen holders and ink pots since 1868. The current pen collection is partially an extension of watch/jewellery lines like Panthère, Roadster and Santos. In line with its tradition, the jewellery house is still making exceptional limited editions, often encrusted with diamonds. It is not surprising that, based on their tradition, Montblanc, Dunhill and Cartier started producing pens and watches. In fact, it is strange that there are so many distinguished pen manufacturers who have not made the move to watchmaking. Aurora, Dupont, Waterman, Omas, Parker, Pelikan, Sheaffer… world brands in writing implements, but no watches. Or are there? 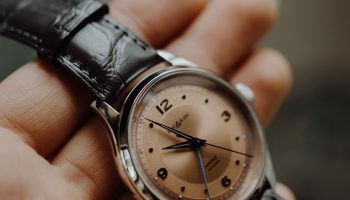 Recently some fountain pen manufacturers have taken this step, giving them the choice of making watches in-house or having another company do so under licence. Without exception these companies have chosen the easier second option. 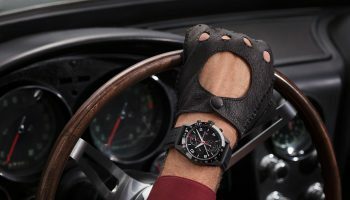 Montegrappa and Visconti have quite pricey collections manufactured in Switzerland (quartz) whereas Cross aims for more affordable watch models that are produced in Hong Kong. 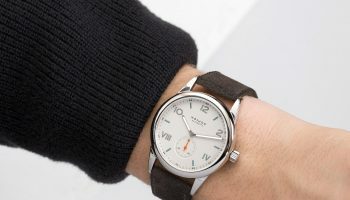 Some ‘general’ luxury brands like Louis Vuitton and Hermès also produce watches and pens, with the aluminium Hermès Nautilus designed by Marc Newson being the most remarkable newcomer – but more about that later. As is the case with watches, there is also a lively trade in antique fountain pens. Top of the range pieces fetch a lot of money at auctions, but the prices are extremely low compared to the amounts changing hands at watch auctions. The world of writing implements has its own legends, like the Parker Duofold, Waterman Edson, Pilot Murex and Montblanc Meisterstück 149, which often turn up at auctions. There is a lively trade in vintage fountain pens, a phenomenon that we have been seeing in the watch world for quite a long time. That and the rising fountain pen sales indicate a return of the fountain pen, comparable to the rebirth of the mechanical watch. 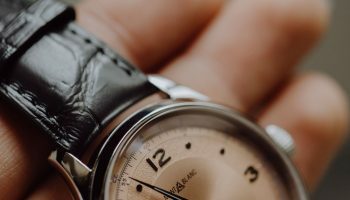 Both products also suffered through their own crises: the fountain pen in the 1960s because of the emergence of the cheaper ballpoint pen, mechanical watches in the 1980s because of the quartz watch. 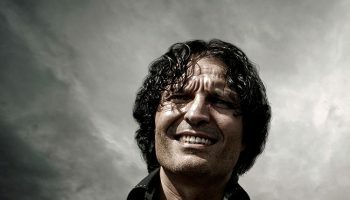 Parallel worlds, you see? Australian designer Marc Newson is a versatile man with a clear design signature. Whether it’s watches or the interior of an Airbus A-380, the flowing line is the obvious Newson trademark. At one point Newson designed a contemporary Atmos clock for Jaeger-LeCoultre and apparently Jerôme Lambert (now the CEO of Montblanc, previously the CEO oF JLC) liked it so much that he asked the Australian to design a writing implement for Montblanc. Not such an exceptional request in itself, but knowing that Montblanc has so far designed all its writing implements in-house, definitely unusual. 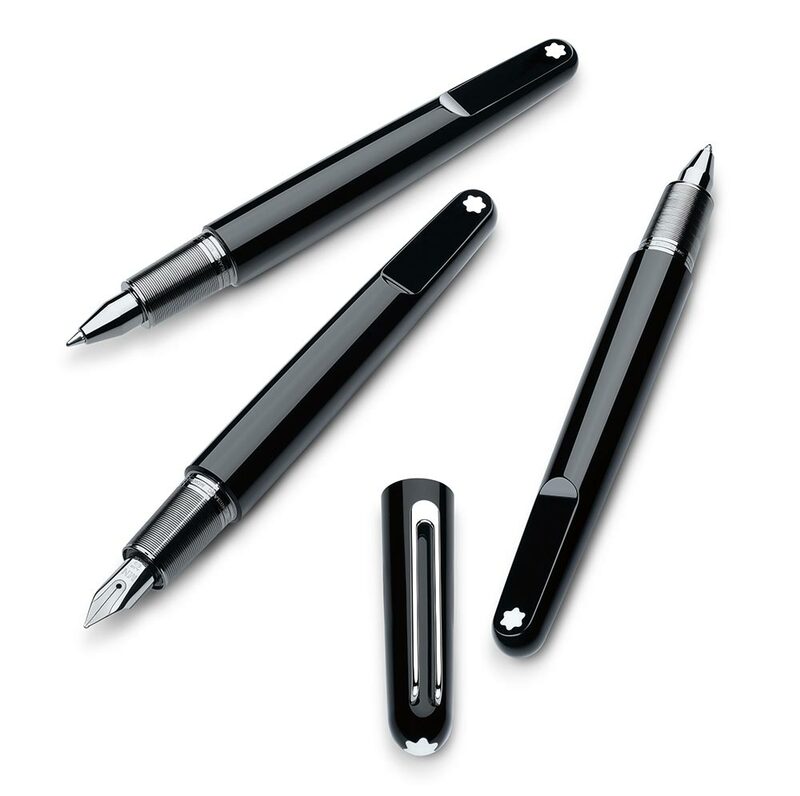 The Montblanc M has all the characteristics of a Newson design and a Montblanc writing tool. The lines are flowing and plain, modern and timeless, and the strong black resin is a sharp contrast against the clear, snowy white of the brand logo. The M has two logos, which is another thing that makes it unique. Which brings us to the less unique part. For Hermès Newson designed a pen that was inspired by the shape of the USS Nautilus. In 1954 this vessel was the first operational nuclear submarine and the first ship to travel under the North Pole ice cap; world news in those days. The shape of the hull of the USS Nautilus is evident in the shape of the pen made by the experts of the Japanese Pilot. Incidentally, the name Nautilus was used with the approval of the Stern family (owners of Patek Philippe); the Nautilus on the wrist can now be accompanied by a Nautilus in the hand. 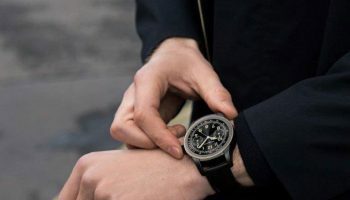 Those who take a look at the new Montblanc M also see underwater inspiration, as the highly flowing M with a seamless clip is very reminiscent of the Ohio-class submarines used by the American Navy. With a length of 170m the nuclear-powered Ohio-class submarines are the biggest submarines in the history of the American Navy and have been in service since 1981. 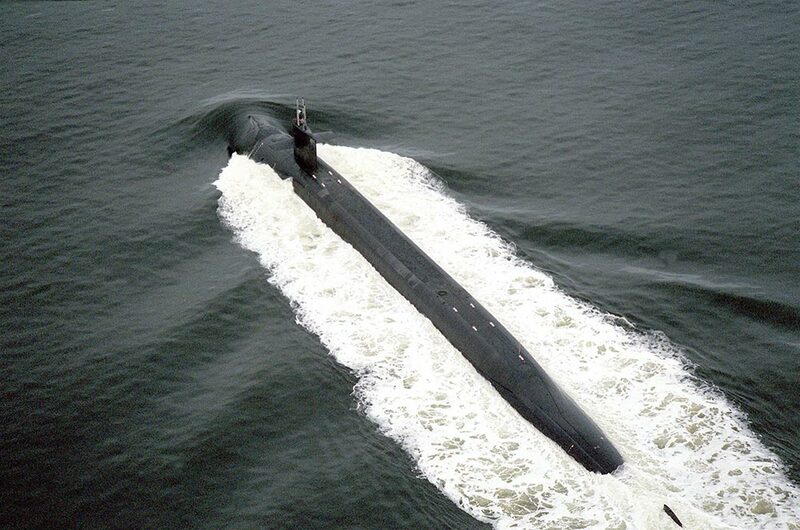 The hull of this type of submarine is a long cylinder with a stepped reduction in diameter at the stern. Another striking similarity between the two “writing submarines” is that the pens always and forever keep their flowing, uninterrupted line. The point of the Nautilus pen emerges by twisting the pen, after which the two parts turn back and retain the shape at all times. The M has a more traditional cap, but when the cap is put on the writing implement two small magnets ensure that the two components are always positioned in a single flowing line. Two boats, two pens, two brands, one designer. For Hermès and Montblanc the realisation that they both have a writing “submarine” in their collection may not be so popular, for Marc Newson fans it is a double celebration.